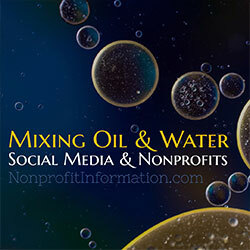 Social media and nonprofits often feel like oil and water. While there are some amazing examples of how to engage potential donors and activists through social networks (KONY and Charity Water come to mind), smaller organizations without massive media budgets continue to struggle. While an organization may have limited resources, time, or be older and experiencing technological growing pains, it is never too late to start doing amazing things with social without harassing their donors or throwing wads of cash at a consultant. 1. Enable a creative, risk taking social media team. On social media, it seems like everything been tried before. That’s because most of it has. Begging for likes through contests, raffles, events can put users (and myself) to sleep. Nonprofits are, understandably, risk-adverse, but you can be creative without hurting your brand. While your current donors may not be tech-savvy an innovative use of social media can expand your reach to a whole new audience. Try setting up a team brainstorming session with a “yes, and…” attitude that makes everyone think outside of the box. If you don’t have the time or team to fully devote to Twitter, Facebook, Google+ and a blog – don’t be everywhere! Do one medium well instead of four poorly. There’s an expectation to be available everywhere, but find the one that works best for you and your organization. Look at where your current and potential donors are most active (maybe even send a survey!) and also look at what network works best for your purposes. Does your organization revolve around a current issue? Try out Twitter. Do you take lots of photos you want to share? Consider focusing on Facebook. 3. Using multiple networks? Use them differently. The worst thing you could do is have the same presence everywhere. When you do that, there’s no reason to follow you in multiple places and you start wasting your time. Not all content should be posted to Twitter and Facebook with the same language. Twitter needs to be short with an interesting call-to-action while Facebook allows for long-form appeals to emotion with an eye-catching photo. If you’re going to use social networks, use them to engage with your current and potential donors and volunteers. You already broadcast when you send newsletters, so give people a reason to be social with you. Reply when someone reaches out or find opportunities to track keywords related to your cause. Being proactive is the difference between a brand page people start loving and a brand page people get bored with. You’re going to want to track more than @Mentions. Let’s say your organization is about violence in Chicago. You want to be able to find the people who care about that issue and let them know about your organization. A social tool like HootSuite or Sprout Social will let you track certain keywords related to your cause. Maybe you find someone outraged about the issue and you’re throwing a benefit dinner that same night. Letting them know could give you a new, dedicated volunteer. Be careful to not be too sales-y though! 6. Understand that it takes time. Consistency is vital to making your page one worth following. People won’t follow you (usually) because of one interaction. They want to see that you’re dedicated to engaging them and providing important, relevant information in the future. It looks terrible to tweet every day for a month, and then switching to an update once every two weeks. People notice that and won’t engage. Don’t start your social media sites with expectations you can’t keep. Have a plan. Have fallbacks. Plan your content in advance by making a content calendar and adjusting as needed. It will be tedious at first, but will pay off in the long run. Things won’t always go according to plan. Your big announcement may be marred by a tragedy or someone may yell at you via Twitter. Remaining flexible is key on social media and being able to react to things as they happen shows that you’re paying attention and that you care. Have a set of guidelines in place, but make sure they’re broad enough to let the person in charge of your social be the voice of your nonprofit and responsive. If these tips sound similar to other industries, they should. Don’t make a distinction between how awesome brands like Nike use social media and how nonprofits use social media. Be the Nike or Virgin America for your issue. There’s no reason nonprofits can’t be the innovators in social media. You, as a nonprofit, can successfully mix water and oil by properly communicating your important call to action and appeal to emotion through social media. Carter Gibson started his nonprofit The LittleBigFund after working in campaign management at the Ad Council. With over 1.3 million followers online, Carter has secured himself as a thought leader for nonprofits looking to break into the social sphere. He has four years of experience as a community manager and is always looking for creative ways to engage like-minded people.